Yesterday, I spent the whole day down in Oceanside. 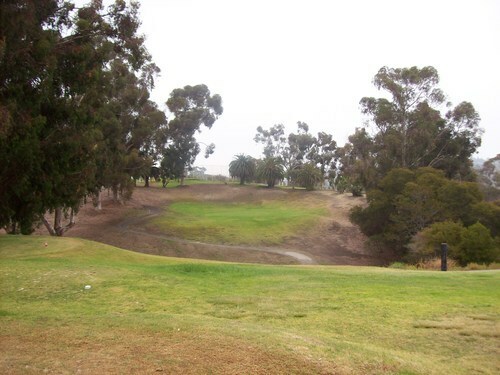 Somehow, I played three rounds there without playing any of the three courses most people would think of (those being Oceanside GC, Arrowood and Marine Memorial). 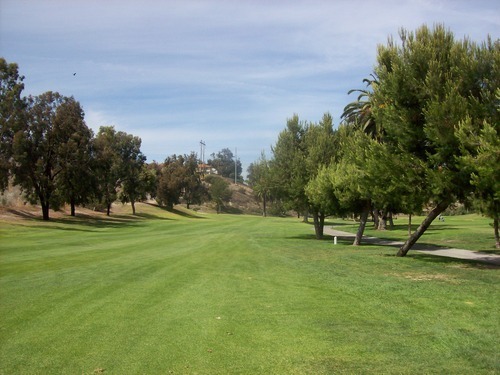 Instead, I played the two “short” courses in town along with the one private club. It was an unusual triple-dip for sure, but unfortunately, the overall day was a bit of a disappointment. 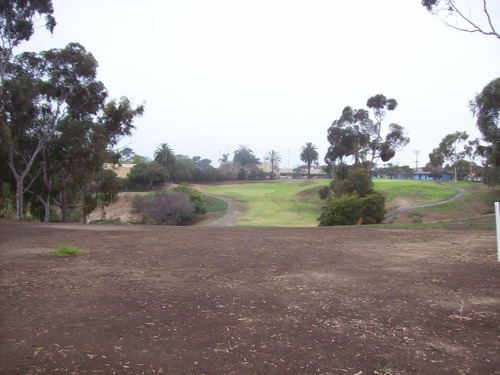 Note: This course has been drastically renovated and renamed Goat Hill Park. Check out the updated review here, yet it’s still fun to read on and see how bad this place was the first time I played it! Where do I start with this one? I knew it was not a good course and conditions are infamously terrible, but I have a sick compulsion to try any course at least once. Since I am out of regulation-length public courses to play in the region, I finally decided to give Center City a shot. Even though the reviews I had read were dreadful, I reserved my own judgment until I got there. Well, it was as bad (probably even worse) than I had feared. This place was an absolute disaster! 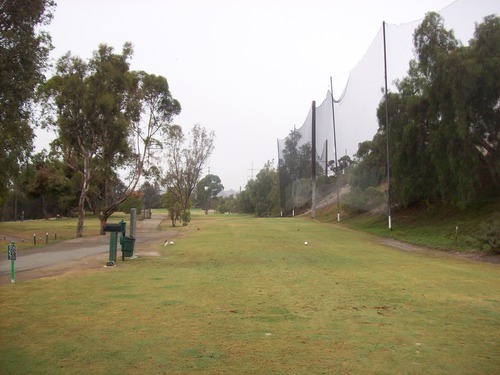 I made a 6:00 tee time through GolfNow because I wanted to get out early and super fast ahead of any “crowd” that might show up on a Saturday morning. When I arrived, the rickety old gate out front was still locked. Finally, around 6:05 a guy came and unlocked it, so I made my way up the top of the hill. However, he was just a maintenance guy with no access to the pro shop. He told me the course usually doesn’t open until 6:30. Around 6:30, a burnout-looking kid showed up and opened the pro shop. 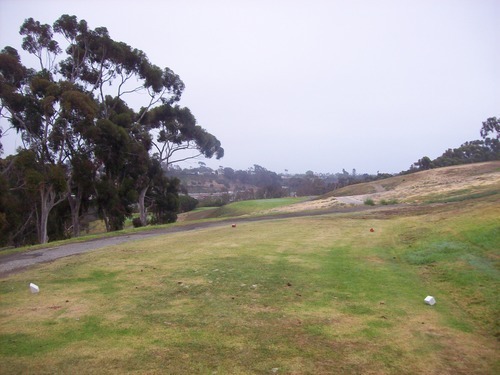 By this time, I was standing around awhile and overlooking a nightmare of a golf course, so I really dreaded paying him and fulfilling my internal obligation to complete what I came for. He was not forgiving at all and the fact I had booked a phantom 6:00 tee time when the course doesn’t open until 6:30 didn’t phase him. He just grunted and took my $20, which is at least $25 too much for this course if you ask me. Basically, if you look at the satellite views of Center City, you’ll see everything you need to know. 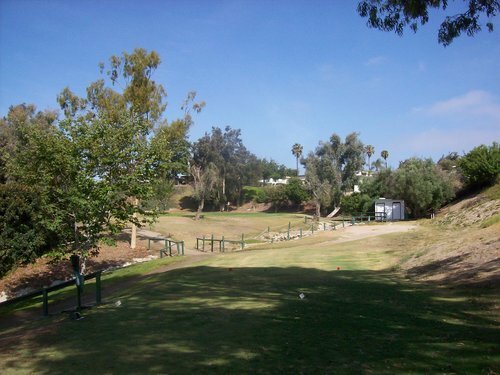 The tee boxes are okay enough and the areas on and around the greens are fairly decent. Everything in between is gone. It’s absolutely terrible. 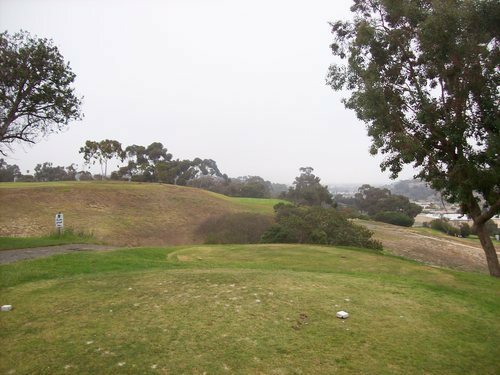 This is a short “target” style course with a hilly layout and some tricky doglegs, but it’s hard to see visually where you even need to aim on some holes. All you see is dirt. Also, even if you hit a perfect drive right down the middle, there’s no telling where it will actually end up. Though I’ve played some real junkers in my day, I think Center City officially takes the cake. 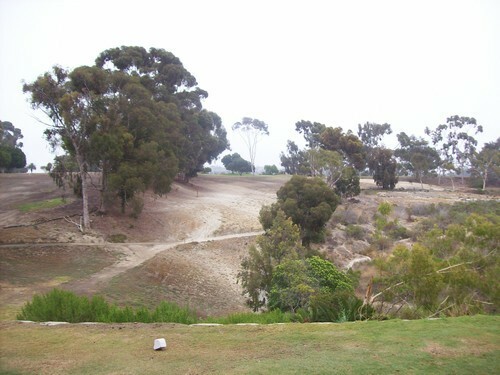 Unless you are like me and want to play as many local courses as you can, leave this course to the goats, who also seemed to wisely abandon “Goat Hill” a long time ago. This is definitely a step up from Center City, but not a huge one. It just happened to work out that they had a deal on GroupGolfer earlier in the week ($17 any time, including cart and range balls). 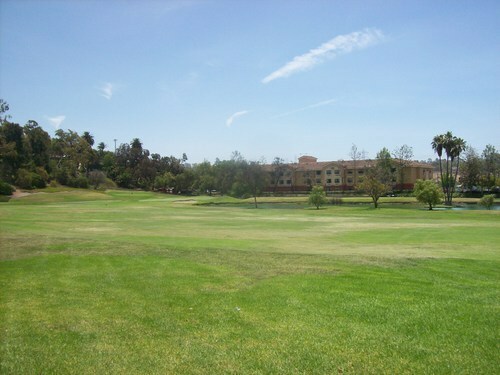 I decided to go for it with my afternoon round at nearby El Camino Country Club already on the books. 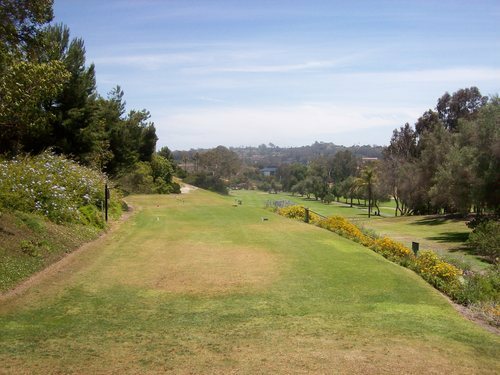 It’s a slightly better rate than you would normally pay on a weekend here with a cart, but it is a walkable course and the deal really wasn’t that spectacular. I didn’t bother with any range balls and teed off around 8:15 as the first tee was wide open when I arrived. 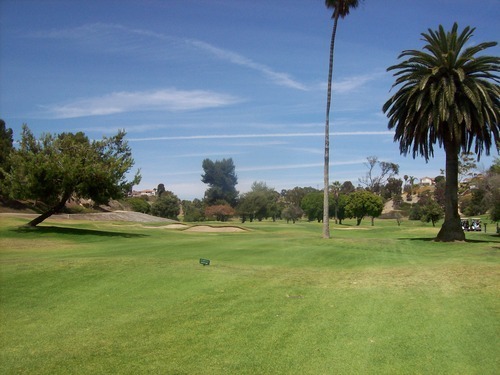 I did play through a couple groups and waited on most holes, finishing in about 2.5 hours. There isn’t that much to note about Emerald Isle. 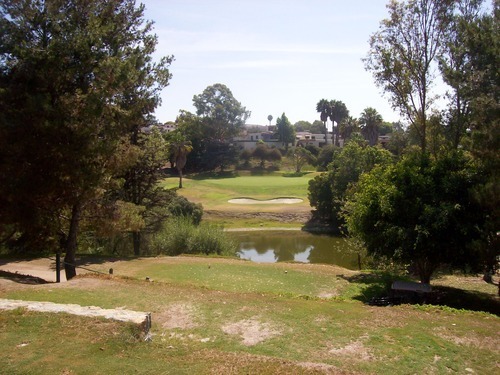 It’s an 18-hole par-3 course with two very short par-4s. 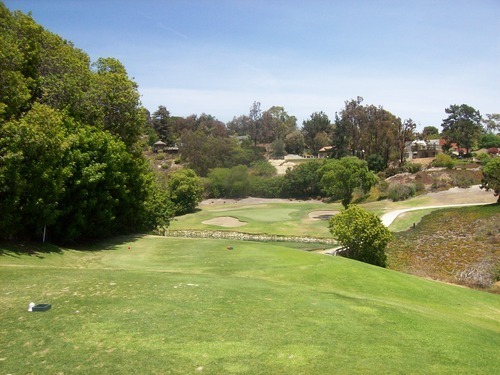 In fact, I didn’t even realize the 2nd hole was one of them until after I putted out. 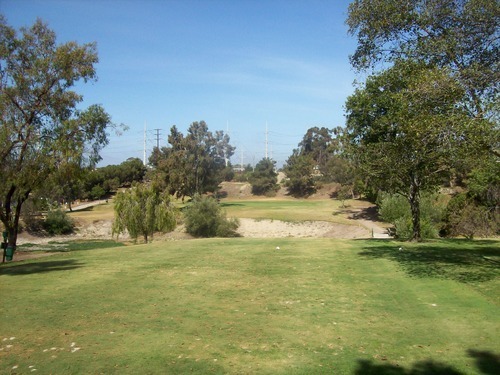 It’s only 194 yards from the blue tees, so I thought I had a pretty routine two-putt par after hitting the green. I was pleasantly surprised when I wrote down my score and realized it was actually the easiest birdie I’ll ever have! The other par-4 (the 7th) is a tiny bit more reasonable at 245 yards. 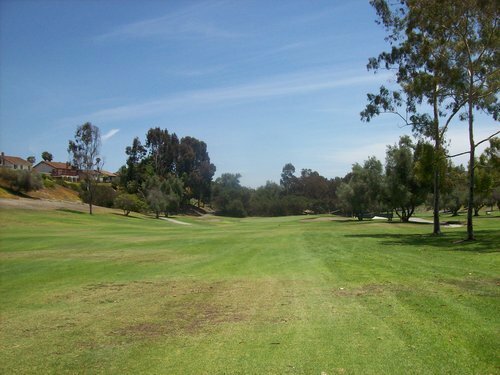 It plays slightly downhill and is easily drivable for most, though it does get pretty narrow down by the green. 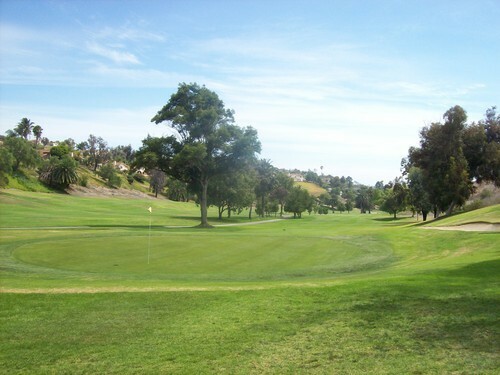 With OB along the right and a hazard area down by the green on the left, it requires a straight shot to make it. Speaking of the hazards, that was probably the most disappointing part of Emerald Isle. 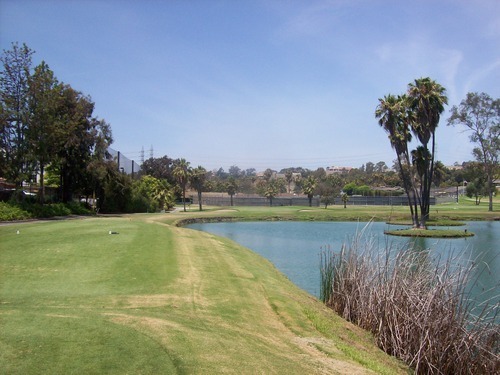 There are a few water hazards that are completely drained and dried out. Only one remains on the 16th hole. Otherwise, what might normally be relatively nice-looking holes are kind of ugly now. This course has potential, but it appears to be heading in the wrong direction. It’s a fun little layout with a decent mix of distances throughout, but the conditioning was mediocre. 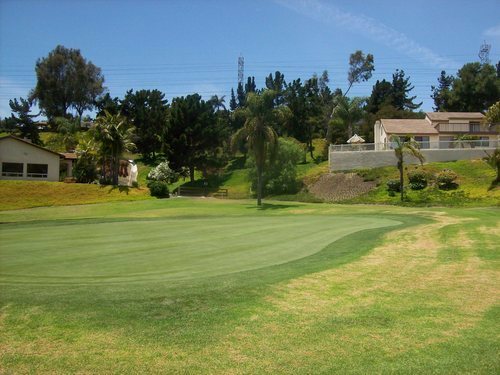 The best part was definitely the greens, which were in very nice shape. The rest of the course was more brown/yellow than green and not that visually appealing. The tee boxes were very chewed up and some are quite uneven, too. Emerald Isle is a good enough course for a beginner or if you just want a quick, casual round to work on your short game. It has potential to be nicer, but even as it is, it serves its purpose well enough. I didn’t know too much about the course heading in and kind of booked it by default. 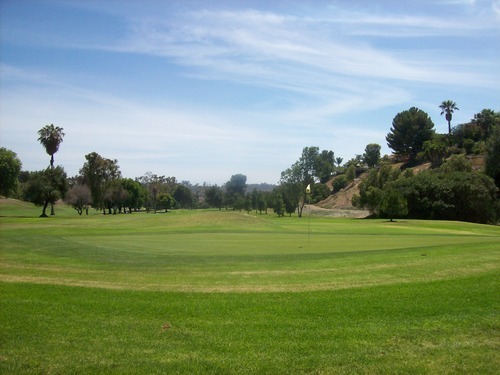 I had learned earlier this year that GolfZing offers times at a handful of SoCal private clubs. However, after months of trying to book some that claimed to be available on Saturdays, I was tired of getting shot down. You go through the whole booking process and it shows “available” dates, but then it’s really just an application. A few days later, they usually get back to you and say that date is unavailable. It really makes no sense the way they do it, so I eventually got a hold of a guy that works there and just asked if he could tell me whenever a course had an actual availability on a Saturday. He turned out to be helpful enough and El Camino was the first one I was able to finally lock in. It wasn’t my first choice, but I took what I could get. 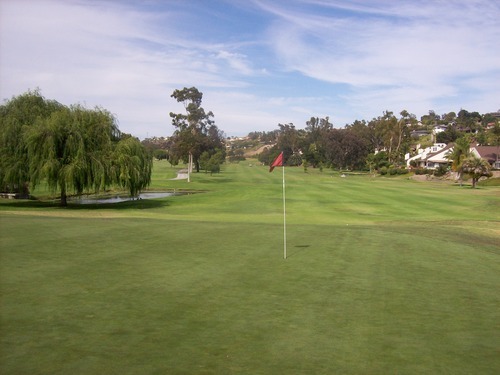 All the private club prices on GolfZing feel quite overpriced, but I just went along with it this time because I was already so far down the rabbit hole. $95 is way too much for El Camino, though. On a positive note, the staff was very friendly. 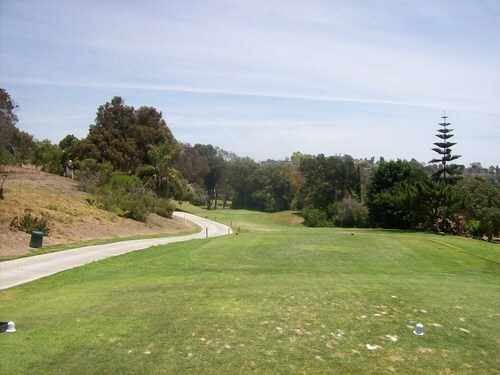 I arrived a little early for my 12:41 tee time, and the starter was able to get me out around noon with three members. Ultimately, it worked out well. I had a lot of fun playing with them and they were very helpful in showing me the secrets to this course, so that made the experience much more enjoyable than it would have been on my own. 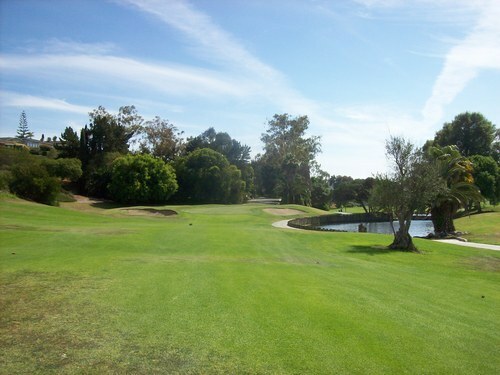 El Camino is a solid old course. 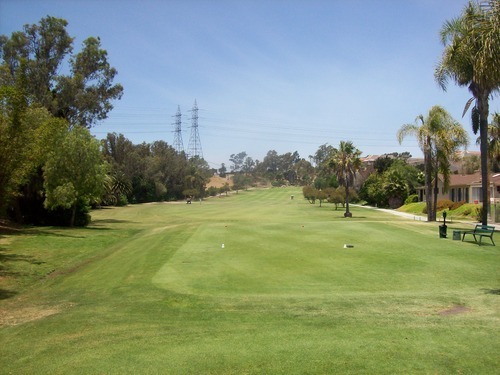 It won’t blow you away and kind of falls in the same category as many of the older “country club” courses I’ve been playing lately throughout Southern California. It has a loyal membership group and doesn’t have the need to be anything too flashy. I will say the course is tougher than it looks. 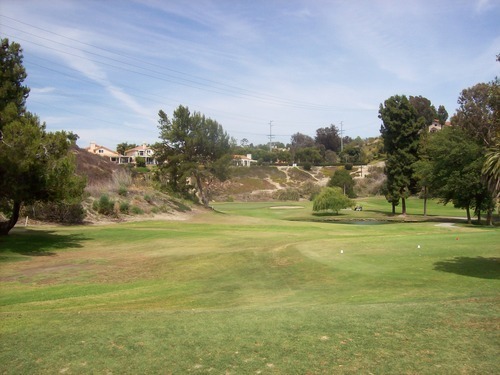 Most holes seem pretty straightforward from the tee and the landing areas appear pretty wide. 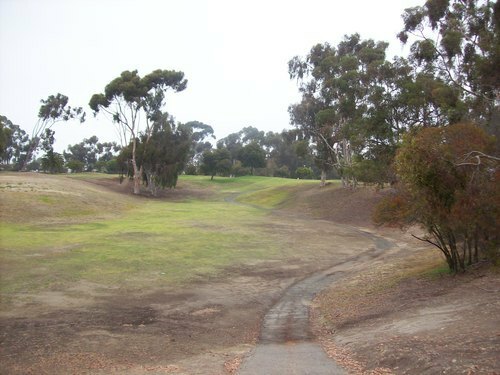 However, the actual fairway cuts are relatively narrow and most holes slope from one side to the other (mostly left to right). 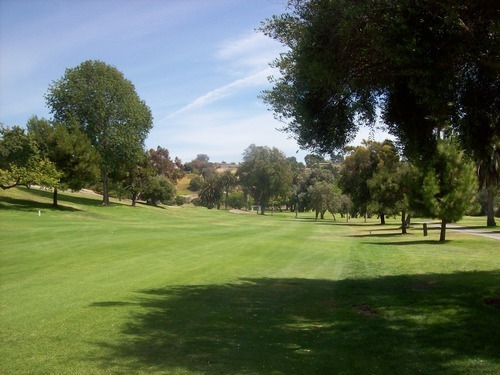 Trees line the fairways and come into play much more than you expect them to. You don’t have to be much off target to find yourself amongst them. 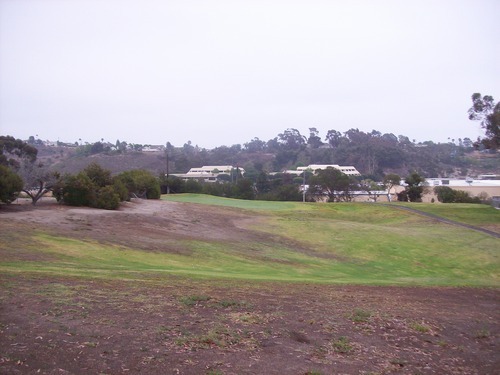 Likewise, there are a lot of OB areas as the course winds through a residential area with houses up along the hillsides. Most of the greens slope left to right, as well. In general, the greens are probably El Camino’s biggest defense. They are relatively small and feature some tricky shapes and slopes. In general, you are best off flying the ball to the hole because you won’t have much luck trying to run the ball up. 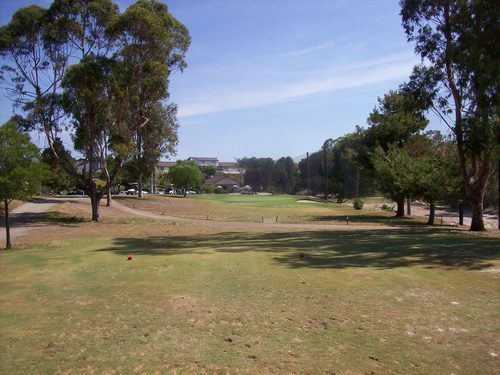 The biggest reason for that is this is a kikuyu-based course, so most balls that land short stay short unless they are really hot and low runners. Also, the greens (at least on this day) were very soft and receptive, so they would hold most shots really well without much release. The course was in decent shape, but not markedly better than an average-level muni this time of year. 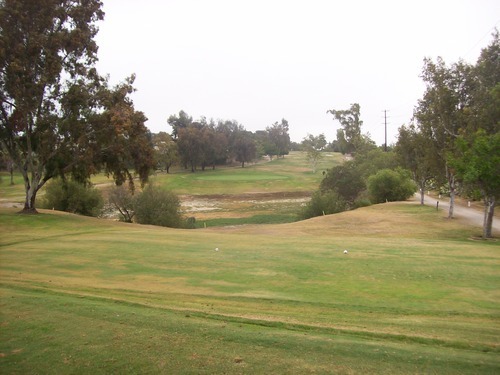 The fairway/rough cuts were consistent and clear to provide the visual framing you need, but there were plenty of thin/yellow spots throughout the fairways. The rough was good throughout, but not too much of a factor as it was cut fairly low and wasn’t very penal at all. The bunkers had good sand. 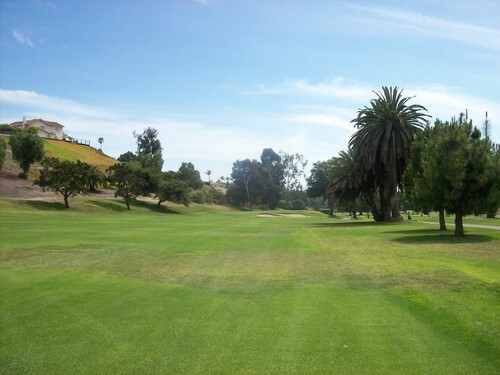 The greens were nice and receptive as mentioned, but a little bumpy and rolling at medium speeds. According to the members, they weren’t nearly as fast or nasty as they can be. The weather was gorgeous in the afternoon with a little bit of wind off the ocean, so that helped the experience along with my playing partners. Otherwise, El Camino isn’t really worth going too far out of your way for. For the right price, it might be worth a visit. What I ended up paying was way too much. 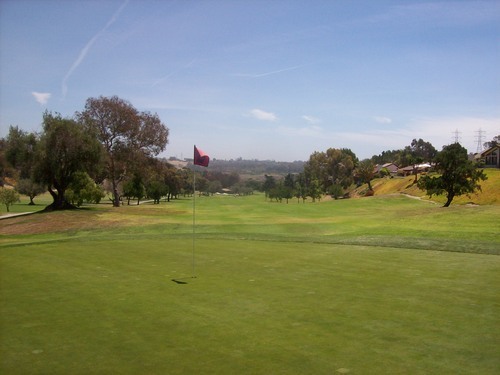 There are so many great public options throughout North San Diego that I’d pick over El Camino. 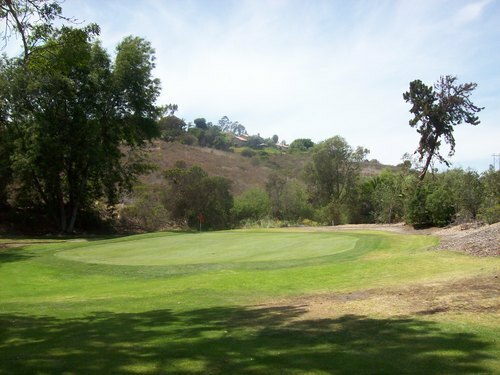 For me, it was a chance to check another new course off the list and feed my need to play something I hadn’t played before.